Hey ! If you are interested in a team to play ranked, scrims, clash and tournaments with, then check out our community, Elo Lust Gaming ! We are a community of mature and friendly players, focused on improvement and competitive team play as much as fun times and banter. We are opening our doors to recruitment this whole week ! We are gathering members, so that we will always have enough players to form rosters with, weather with or without strict play times. We have managers, sponsors, partners, streamers, coaches and staff to assist, reward and entertain the members. We currently have 1000$ of loot to giveaway to players and partnerships to give various discouts. 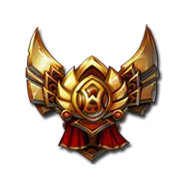 We are already organizing roasters going from Gold elo to Challenger tier on EUW and EUNE which you can get in as soon as you join ! We are based on discord, feel free to come in and check us out !